Welcome to our second ever “5 questions” piece, which we’ve only realized is really 3 questions and 2 instances of demanding information from these lovely producers who have graciously accepted to be interviewed. 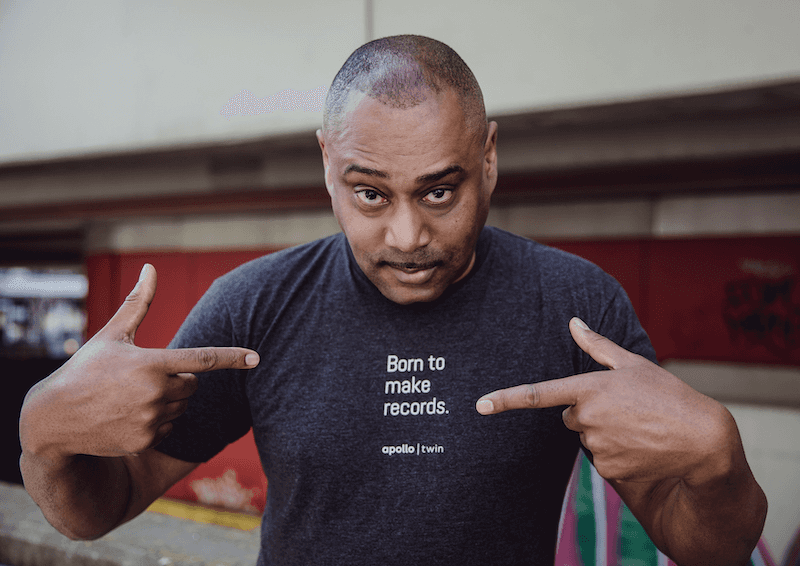 This week, it’s Mike Huckaby’s turn. What do you do in the world of music? I’m a DJ, producer, remixer, sound designer, and educator. All in that order too. Tell us about a project you worked on or a piece of music you created, in which you found the process particularly interesting. I created My Life with the Wave vol 1 and vol 2, solely using 1 synthesizer, the Waldorf Wave. That taught me how to properly utilize a synthesizer. Because 1 synth is possible of giving you all the sounds in all frequency ranges to finish a song. People don’t relate themselves to gear like that these days. How has Syntorial helped you in your sound design process? Syntorial has sharpened my ear ridiculously! Syntorial is crucial for any producer using synthesizers! I am still not finished with all of the lessons. But when it had me differentiate between a thin and wide pulse wave setting, i knew that it was the real deal. I think it is a fundamental learning exercise in terms of programming a synth, and creating electronic music. I just wish it was around when I was coming up. Lots of Jazz, and studying chord progressions. I’ve been looking at a lot of Robert Glasper piano tutorials lately, and studying 8 note chord voicings. I try to take apart a record sometimes. Especially when I’m listening to Ron Trent and Glenn Underground.